Take a look at the two noodles bowls in the picture above. We encountered the left-most Chinese character a few weeks back and identified it as ‘miàn’, meaning the wheat-flour noodle of the ‘Chow Mein’ type. Well, as it turns out, the character on the bowl on the right is also ‘miàn’. In fact, it is the actually same character. In all, about 2000 characters were simplified and you can see, just from the few examples above, that they all have far fewer strokes and are thus much easier to both read and write. At this point, as novice students of written Chinese, you are probably thinking that this must be a good thing and that this new system should actually make things easier… Unfortunately, it just ain’t that simple. Outside of mainland China, only Singapore formally adopted the simplified characters. Taiwan and Hong Kong both remained resolutely loyal to the old system as did almost all overseas Chinese in Europe, North America and elsewhere. The changes were either viewed as objectionable (and resisted), or not worth worrying about (and ignored). 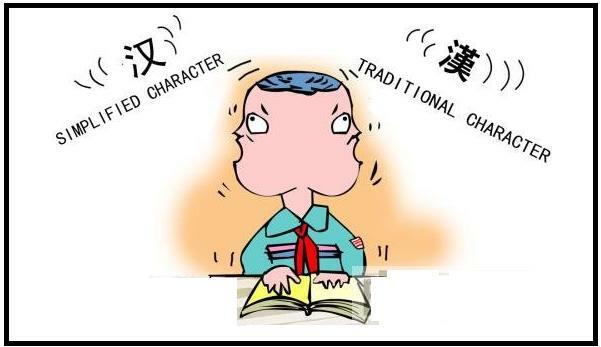 As it happens, simplified characters are appearing more and more frequently outside of mainland China. Here in the west, restaurant menus in particular are using simplified characters at an increasing rate and adding to the confusion is the fact that many places mix and match the two systems by using traditional characters for some things, and simplified characters for others. I would say that in about two decades from now it will be possible to become generally literate in written Chinese without needing to learn more than a few ‘die-hard’ traditional characters. For now, however, you really can’t afford to ignore one system in favor of another. Accordingly, as new characters are introduced in future lessons, I will also provide the simplified type (where necessary) along with pictorial examples for both versions.